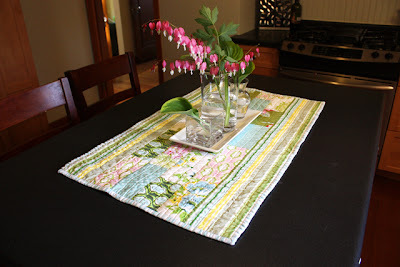 Table runners seem to be all over the quilting and crafting blogs these days. 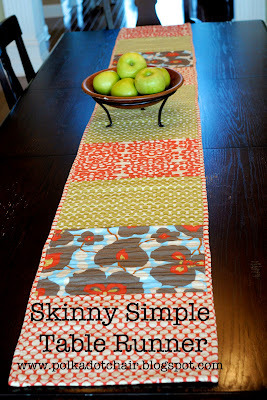 Here's a roundup of some of my favorite table runner projects, as well as a bonus placemat tutorial for good measure. As always, click the photo for the link. 1. Noodlehead made a more traditional quilt style. 4. 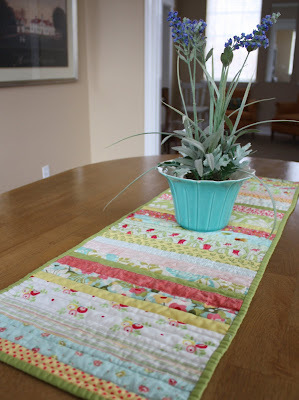 There's a great tutorial for this table runner over at V and Co. courtesy of Diary of a Quilter! 5. And quilted placemats are a good way to introduce a pop of fun pattern if you don't have the patience for a table runner! School of Crafts did a great tutorial (thanks One Pretty Thing!). This would be a great way to practice out quilting technique before doing a full quilt! 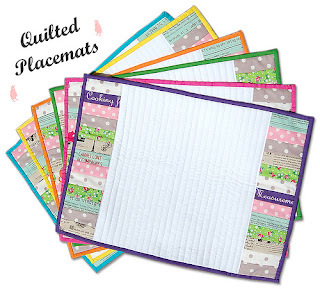 Last minute update - here are some other cute placemats from Pink Penguin I found via Noodlehead.